April 8, 2019 (Last Updated: March 21, 2019) - As an Amazon Associate I earn from qualifying purchases. I have to be honest that I am stuffed. I have eaten so much deep dish pizza over the past month or so that I might need to invest in two gym memberships. 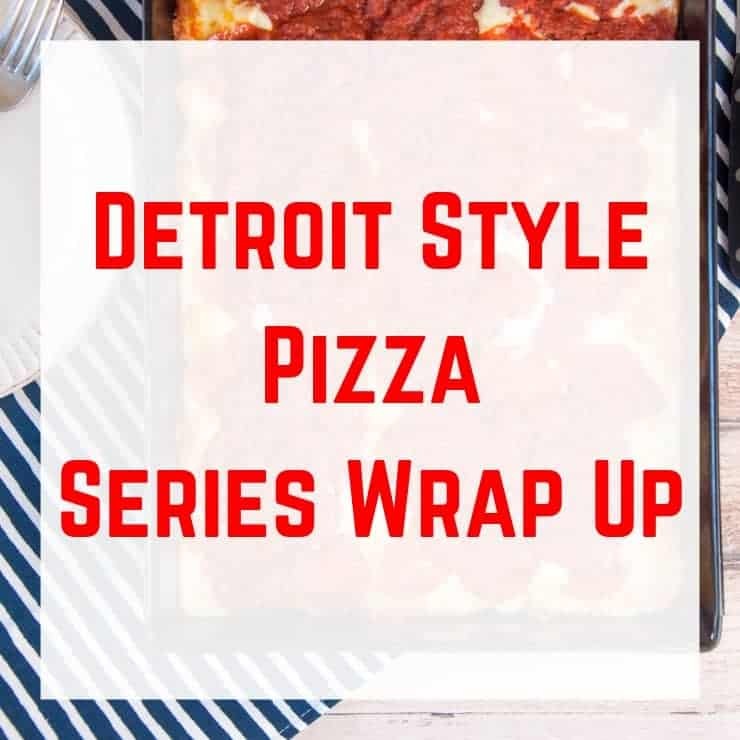 It really has been a happy time in this Detroit Style Pizza Deep Dive Series. I have been able to eat a lot of my favorite food and experiment with different ingredients. We learned about the history of this style of pizza and reflect on some of the similarities and differences between Detroit and Chicago Styles of pizza. Like with every series, I like to spend a little time just recapping all of the things we have covered. 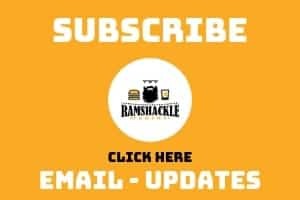 Classic Detroit Style Pizza Recipe and History – Here you will get the perfect Detroit Style Pizza recipe and we also look into the history of this classic regional pizza. 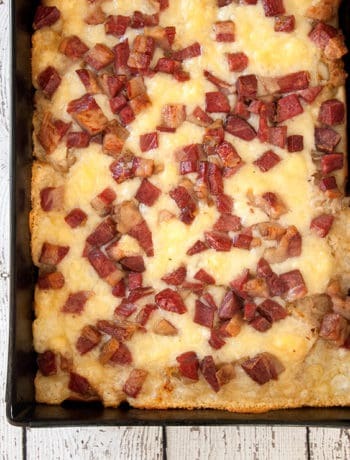 Detroit Style Rueben Pizza – We are putting sauerkraut on this pizza. You heard right. Guess what? It is delicious. Detroit Coney Dog with Homemade Coney Sauce – We take a detour to another regional favorite, the hotdog. 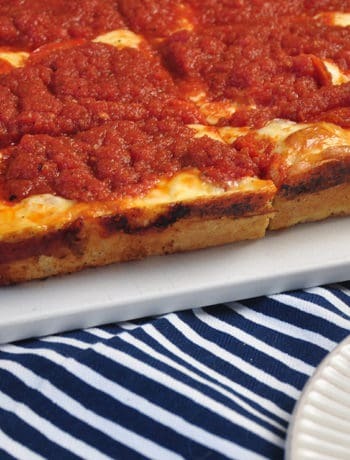 Detroit Coney Island Pizza – We combine the two different Detroit classics into this one awesome recipe! I hope you had fun with us! Make sure to sign up to get updates via email and also to share these recipes on Pinterest! Keep on coming back, as we will have a new series starting shortly where we share recipes and dive into the history of the dish!